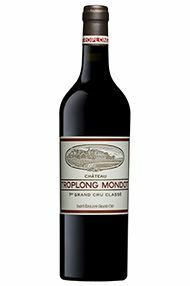 The Wine Advocate - Deep garnet colored, the 2009 Troplong Mondot bounds out of the glass with plum preserves, spice cake, mincemeat and potpourri scents plus suggestions of exotic spices, incense and a waft of balsamic. Full-bodied, super rich, concentrated and plushly textured, the hedonic fruit possesses loads of spicy layers and a very long and decadent finish. If you love wines you can stand a spoon up in, you're gonna go nuts over this extravagant beauty. Jancis - Very dark blackish purple. Toasty oak on the nose. Too facile? Some savour on the mid palate. Easy and not exaggerated. A middle-of-the-road choice. Really lines the glass! Toasty oak nose. Really rigid on the palate – so drying! Purple fruit flavours. Exorbitant. Then a very fast fade. Super-flashy rather than really satisfying. Wine Spectator - Intense aromas of blackberry and blueberry follow through to a full body, with well-integrated tannins and a fruity finish. Offers lots of licorice and spice. There's lovely length to this. Reserved and pretty. Parker - It boasts an inky/purple color along with a gorgeous bouquet of mocha, chocolate, blackberry and cassis fruit, an unctuous texture, a full-bodied, viscous mouthfeel and a skyscraper-like, multilayered finish. This spectacular wine is nearly overwhelming in its richness, thickness and intensity. 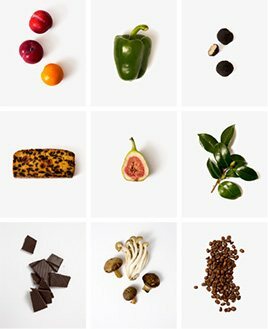 Once all its baby fat falls away, the terroir characteristics and additional nuances will emerge. This blockbuster, fabulous Troplong Mondot will benefit from 10-15 years of cellaring and keep for three decades or more. It is not shy either, bouncing over the palate with 15.5% natural alcohol. 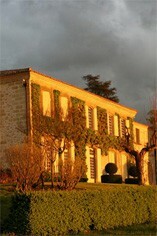 The 2009 Troplong Mondot will provide plenty of competition for the 2010, 2005 and 2000. It comes closest in style to the prodigious 1990 that proprietress Christine Valette produced 22 years ago. A phenomenal effort, it unquestionably justifies its relatively new Premier Grand Cru St.-Emilion status. Readers should keep in mind that the 1990, which probably has lower acidity and not the level of concentration found in the 2009, is drinking incredibly well at age 22 and reveals no signs of falling apart. Decanter - The opposite end of the spectrum from Canon but huge personality. Blue-black colour. Rich and concentrated. Spicy, chocolaty, dark fruit aromas. Full-bodied and powerful but not over the top. Tannins quite refined.